Boston Celtics point guard Kyrie Irving is recovering from a knee injury that sidelined him much of last season. This kept him out of a Celtics uniform, but his signature shoe, the Nike Kyrie 4, is still one of the most popular basketball shoes of 2018. With its unquestionable appeal among sneakerheads and ball players, it’s downright expected Nike would release what seems like an infinite amount of colorways to capitalize on it all. 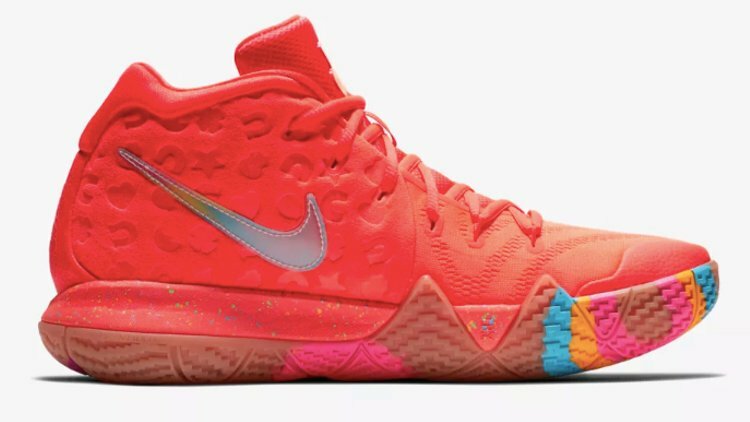 And they’re doing so by mashing these sneaks up with … colorful breakfast cereals. In a collaboration with General Mills, Nike released the Kyrie 4 “Cereal” pack with designs reflecting some of your favorite boxes of cereal. 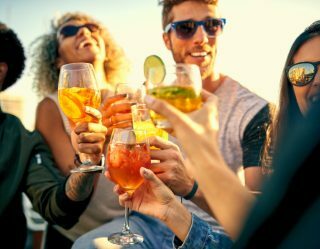 The special release was dropped over the weekend at pop-up shops in California and the Northeast, namely at basketball Meccas like the Drew League and Rucker Park. 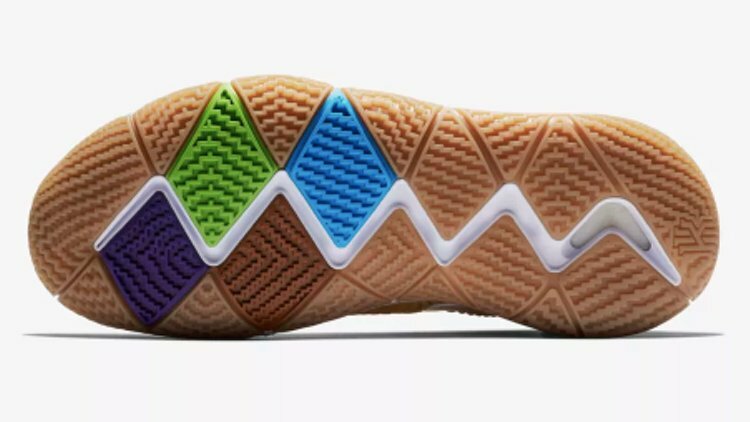 Nike Kyrie 4 Lucky Charms. Image via Nike.com. Each colorway shares notable similarities with the cereals they’re designed after. The Cinnamon Toast Crunch version has material with wavy lines just like you see on the cereal. As you would expect from the Lucky Charms colorway, almost every color of the rainbow ends up on the shoes. Nike Kyrie 4 Kix. Image via Nike.com. If you take a look inside each shoe, you’ll see images on the soles of the cereals each pair is representing. 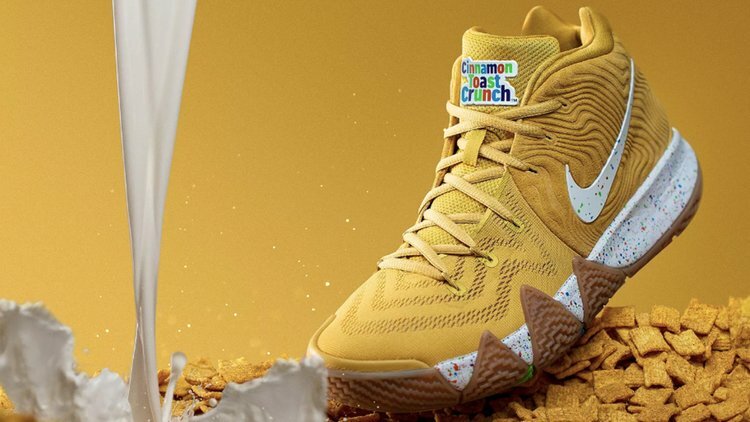 Nike Kyrie 4 Cinnamon Toast Crunch. Image via Nike.com. 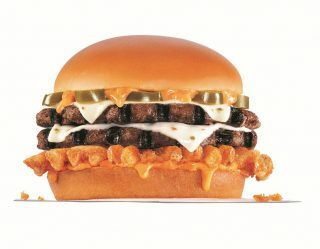 This isn’t the first time Irving has had a shoe mashed up with breakfast. 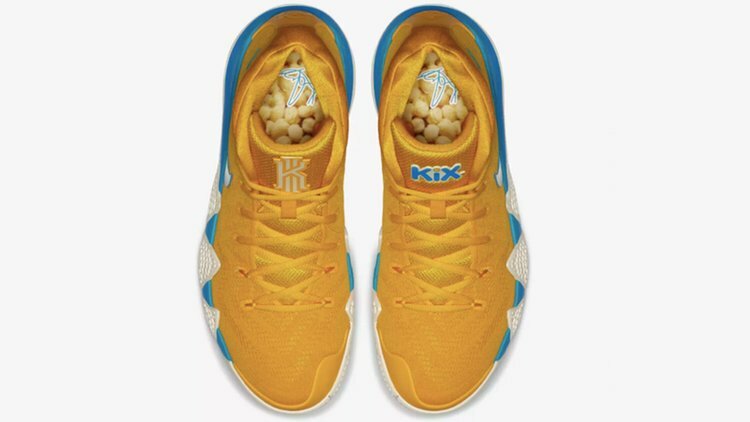 Through a promotion for his feature film, Uncle Drew, Wheaties collaborated with Nike to make a Kyrie 4 that pays homage to the cereal known for featuring athletes on its boxes. For those who didn’t get out to Rucker or the Drew, don’t sweat it because Nike is dropping these joints on the SNKRS mobile app on Aug. 11 for $120. 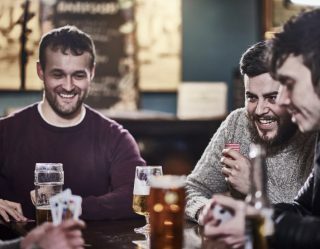 But if you can’t wait until then, you can always hit up a reseller and pay an extra $400 to get them quicker if you’re into burning away your cash on ridiculous markups.